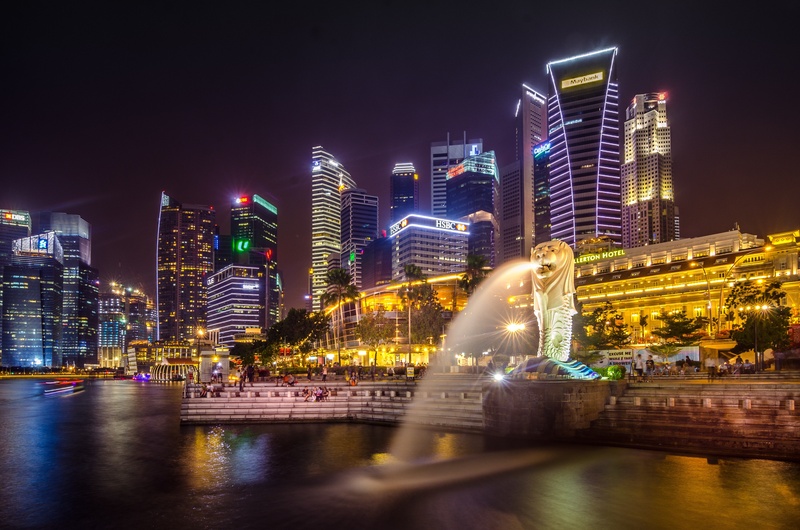 For those who have pulled into Singapore's Marina Bay for a short stopover, experience in this short 48 hours what the residents of Singapore experience every day - sumptuous food, incredible views, indulgent shopping sprees alongside a dose of culture and a pinch of surrealism. Once anchored at Marina Bay, make your way to one of the most luxurious hotels in Singapore for your 48-hour stay on land. The Parkroyal on Pickering is located metres from Chinatown and a short stroll from the Marina. A feature which is exclusively reserved for club room guests is the rooftop Orchid Club lounge, which features a sweeping 360-degree view of the city skyline, and beautiful birdcage poolside cabanas. The entire hotel is bedecked in plant life and the interior is sleek and modern, with a naturalistic colour scheme and bespoke art. After unpacking and taking in the view from the Orchid Club Lounge, it is time to explore. Head to the Marina Bay Sands SkyPark for fantastic views of the city and an opportunity to bathe in an infinity pool at the top of the towering building. 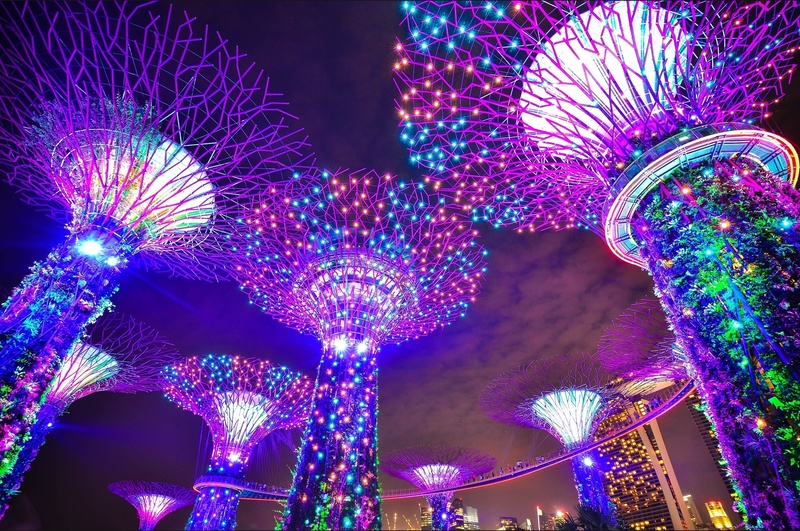 After this gravity-defying experience head over to the Gardens by the Bay for an even more surreal adventure. Here, you can take a step into the future by walking amongst contemporary architecture designed to look like towering, glowing trees. The view from the top of these futuristic is second only to the view from your dinner destination. Perched atop the grand and glam Marina Bay Sands casino resort, Spago by Wolfgang Puck impresses with a dazzling panorama of Marina Bay. The views are complemented by the Spago Dining Room’s three-course Sunset Menu, which includes dishes like hand-made agnolotti with sweetcorn, honey miso broiled black cod and salted caramel soufflé. After a wonderful night's sleep in the sound-proofed rooms of the Parkroyal, prepare for a morning of retail therapy. Make your way to ION Orchard, one of the most upmarket and high-end design shopping centre in central Singapore. Splash out in some of the luxury stores such as Gucci or Prada and with any spend over $5,000, you will receive a complimentary limousine ride back to your hotel after lunch. Some of the best dim sum in Singapore can be sampled at multi-award-winning Taste Paradise in ION Orchard. The menu consists of over 40 varieties of dim sum, including both traditional and more innovative creations such as their famous XO carrot cake and braised foie gras with blueberry reduction. Now is the time to head to the opulent SO Spa on Senotsa Island for an afternoon of luxurious pampering and relaxation. Amidst gentle waterfalls, lush vegetation you can discover the unique spa garden, which features three pools for your enjoyment - a cerulean-tiled lap pool, a float pool with cascading waterfalls and a mud pool where you can enjoy the detoxifying effect of Moroccan rhassoul clay. After this afternoon of pampering, you will feel suitably ready for an exciting last night back in the centre of Singapore. 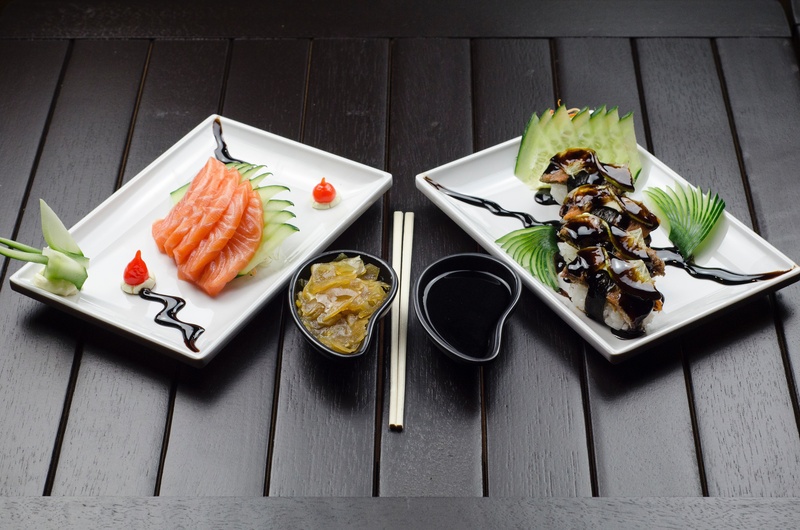 The best place for a traditional Japanese dinner can be found at Lau Pa Sat, an open-air hawker centre filled to the brim with tiny stalls selling exciting plates and savoury nibbles. 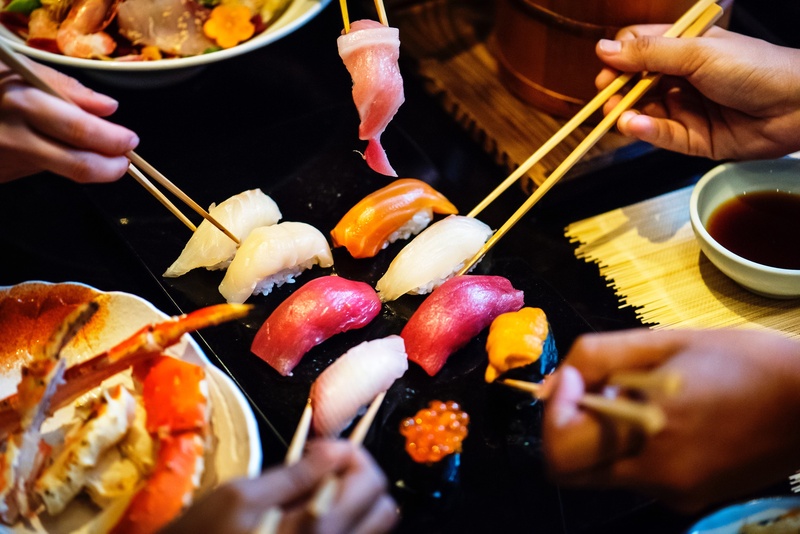 Eat as the locals do in Singapore's most famous food market, which blends history with striking architecture and sensational local food into one delightful experience. From here, make your way to the grand 1880's exclusive members club. An eclectic design style of contemporary industrial mixed with opulent Asian tradition makes for an incredibly beautiful place to unwind or liven the crowds. 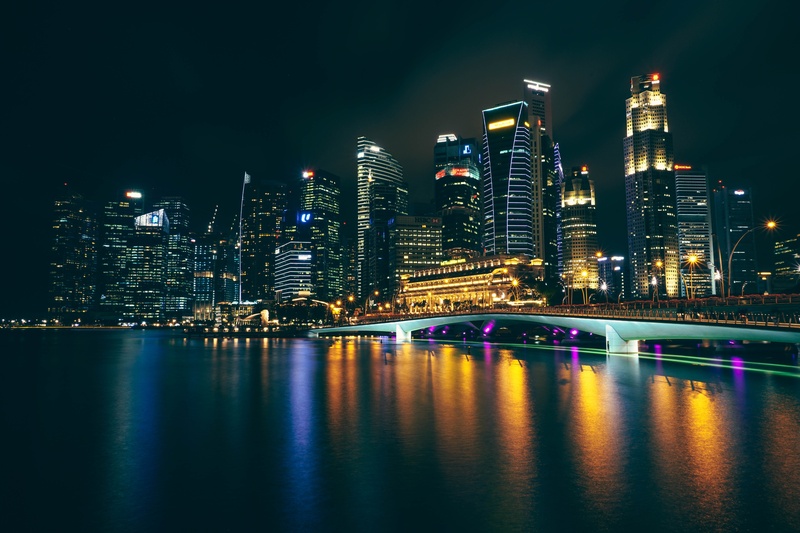 Lounge on hand-stitched leather sofas as you sip on a beautifully blended martini with a Sinagpore twist, and amongst the VIP's of Singapore you can plan your next trip to the city of dreams.